Jacki Mein’s determination to improve health literacy began the day, as a young doctor in Darwin, she discovered an Aboriginal patient’s prescribed tablets, abandoned and scattered outside the entrance to her clinic. “The fact that they left their tablets outside the door said to me that I wasn't doing a great job in communicating what they needed to do. What could I do better?” she said. Over the following two decades, as she pursued a career in public health, Dr Mein never lost sight of the need to educate and engage Aboriginal and Torres Strait Islander people in how to make sound decisions to safeguard and improve their own health. “If you educate people, give them a sense of control and the ability to make choices about what they do, they are much more likely to own that process,” she said simply. Now a James Cook University Adjunct Professor in Medicine and Director of Medical Services with the Wuchopperan Health Service in Cairns, Dr Mein was recently awarded the Order of Australia (OAM) in recognition of her work with Aboriginal and Torres Strait Islander communities. 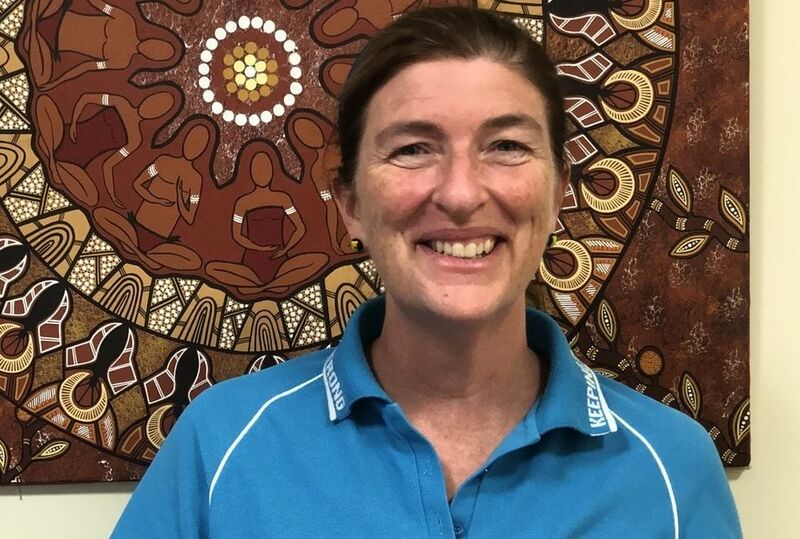 That work began when, as a Melbourne medical graduate with an interest in sexual health, she took up a position with the Communicable Diseases Control unit affiliated with the Royal Darwin Hospital in 1994. “As a very young doctor, I spent time working at the Melbourne Sexual Health Centre, but I mostly treated the ‘worried well’,” she said. “When I hit the Top End, it was a whole different ball game. There were lots of sexually transmitted infections, (STIs), mostly in populations that either didn’t or couldn’t access care,” Dr Mein said. Her initial expectations were also rewarded. There was no shortage of patients with diseases she had previously only encountered in black and white photos in medical text books. Dr Mein conducted sexual health outreach clinics on remote islands off the Northern Territory, but the hospital in Darwin remained a forbidding fortress to mainland patients. “It was a very daunting place for Aboriginal and Torres Strait Islander people,” she said. “Eight stories high. For people from quite remote places where they didn't have anything but single storey buildings, it was an enormous edifice. I remember people were really frightened of the lifts. Dr Mein rejoiced in the advent of azithromycin, a long-lasting antibiotic which “transformed almost overnight” the prognosis for donovanosis patients who had previously struggled to adhere to longer treatment regimes. But there was no magic pill for countless other patients in remote communities with “potentially very curable” diseases, whom she and other healthcare professionals encountered. In Darwin, Dr Mein lived with her brother, Sandy, a teacher involved in a program to provide Aboriginal children with basic literacy and numeracy skills – including the ability to read labels on food items in local shops. While completing her Master’s degree in Applied Epidemiology, the young doctor, then pregnant with her first child, took part in a massive emergency healthcare operation for another group of dispossessed people – around 500 East Timorese airlifted by the Australian Defence Force to Darwin to escape Indonesian troops advancing on the capital of Timor-Leste, Dili, in 2000. Infectious diseases, including tuberculosis and STIs, were rife among the refugees. Two days after their arrival, there was a measles outbreak at the refugee camp. A debilitating rotavirus strain which they also carried, spread “like wildfire” among the healthcare workers. “I remember writing that up as part of my masters research,” the doctor said. Dr Mein spent almost a decade in Darwin, during which time she also worked as an on-call doctor for sexual assault cases, and the Medical Director of Family Planning NT. But in 2001, she said good bye to the Top End and moved to Brisbane to take up a post as a sexual health physician at the Princess Alexandra Hospital. Within the space of three years, she was craving a fresh challenge. “The people I saw in the clinic were very much the ‘worried well’. That’s not what I really wanted to do,” she said. Now the mother of two young children, she nevertheless leapt at the opportunity to become a public health physician at the Kimberley Population Health Unit in Broome, Western Australia, where she did fill-in work for an Aboriginal controlled health service for the first time. “The Broome Regional Aboriginal Medical Service was a real eye opener for me,” Dr Mein said. While in Broome, she also worked for another disadvantaged population – prisoners in the Broome Regional Prison. “The prison officials referred to the medical clinic as the ‘medical parade’. It wasn’t a clinic to them. It wasn’t about health,” she said disparagingly. Dr Mein set about organising routine vaccinations and regular health checks for the prisoners. She also revised their diet. In 2006, with three young children in tow, Dr Mein moved to Cairns. She had fallen in love with the city while researching a school project when she was a child. “I’ve always lived close to the sea, and I’ve always loved the Reef. Cairns just seemed to be a logical kind of progression,” said the doctor, who volunteers as a surf live saver and first aid officer. She soon obtained work as a public health physician with the Cairns-based Apunipima Cape York Health Council, which was then on the cusp of expanding its services to include Aboriginal and Torres Strait Islander communities throughout the Cape. “It was the most wonderful place to work and I learnt an awful lot,” Dr Mein said. “I got to have a say in how we designed services to go into different communities. They were basically proper primary healthcare initiatives. We started putting in teams of people gradually up the Cape. Establishing sustainable health services to remote communities on the Cape did present challenges. Dr Mein spent 10 years with Apunipima – the last five years as the organisation’s senior medical officer. But then she too began to feel the pressure of being a fly-in, fly-out worker, spending several days every fortnight away from her three children as they entered their final years of primary school. At the end of 2016, Dr Mein left Apunipima to take up the post of director of medical services at Wuchopperen Health Service in Cairns. “I'm still grateful for being home every night,” she said. Dr Mein heads a small team of clinical governance staff, but still spends time every week working on the frontline in Wuchopperen’s public clinics. She remains passionate about promoting health literacy, which she regards as the corner stone of preventative medicine. It must become “absolutely front and foremost” of primary healthcare roles. “We need to try and embed a culture of education as being a really critical part of any health care that we provide,” she said. Dr Mein knows full well that the road to health literacy is not easy for many Aboriginal and Torres Strait Islander people burdened by other pressing welfare concerns. While family concerns can divert attention from personal healthcare efforts, family can also be a powerful trigger for positive change, according to the doctor. “Talking about how important it is to be around for your grandchildren and your children. I think that's a really strong motivator for people,” she said. Preventative health messaging should be simple and include basic graphics that not only illustrate current health risks, but also the potential impact of modest steps to reduce those risks. “Rather than making people depressed about the fact that their risk of having a heart attack or stroke in the next five years is high, give them simple steps and choices to improve their health. They need to know it is not this unclimbable mountain,” she said. The ripple effect can be profound. “If a person makes healthy changes to their lifestyle, that not only benefits the individual, as a pill would. It also has the potential to affect families and family behaviours, which I think is really critical,” Dr Mein said. She herself is still striving to hit the mark, when it comes to shaping messages that resonate with a patient and inspire potentially life-saving change.